How high will you climb to reach your true G.I.R.L. (Go-getter, Innovator, Risk-taker, and Leader)™ potential? Thousands of Girl Scouts accepted the challenge and kept right on climbing past their original goal throughout 2017 to make our world a better place through civic action. 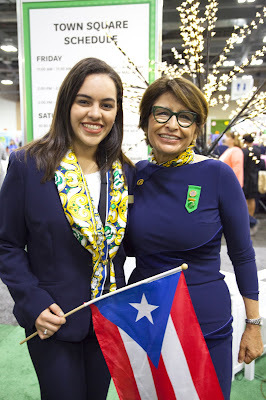 So how can you support girl-led change today as well as Girl Scouts’ mission to keep building girls of courage, confidence, and character who make the world a better place? Do your part to advance the G.I.R.L. Agenda—which inspires, prepares, and mobilizes girls and those who care about them to lead positive change through civic action. You’ll be joining public figures and influential G.I.R.L.s like Sheryl Crow , Keri Hilson, and Quvenzhané Wallis, who have used their voice to advance the G.I.R.L. Agenda along with thousands of Girl Scouts from across the Movement. For a little inspiration, we’ve collected some of the most amazing stories of civic action below. 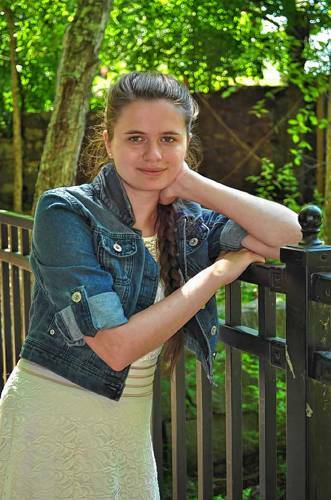 Cassandra Levesque is determined to end child marriage in New Hampshire. When she found out that children as young as 13 years old can legally get married in the state, she stepped up and started a nationwide debate about child brides. Although the law hasn’t yet changed, she’s not giving up the fight, and her voice has inspired others to stand up for girls across the United States and the world. 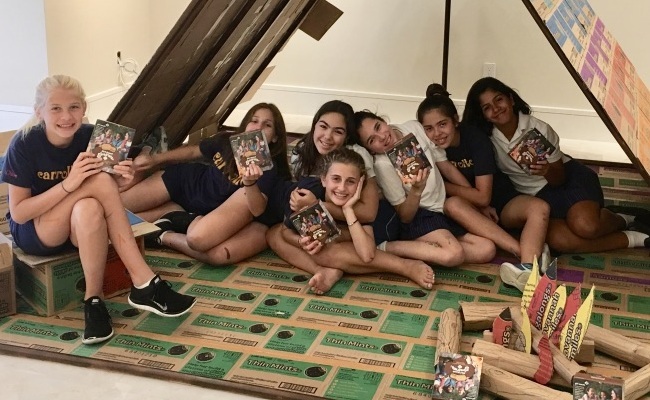 Troop 918’s concept for the Dade County Youth Fair was to complete a 10 x 10 foot campsite made of cookie boxes. Weeks later they were told there were space constraints and they’d have to downsize . . . while a local boys’ group had been granted five times the space and didn’t have to budge! To fight back, the girls launched a petition to rally their community and took the actions needed to ensure Girl Scouts had equal space! #NoStrawNovember, an environmental awareness campaign Shelby started for her Girl Scout Gold Award project, has gone far beyond her community in California. To support the campaign, consumers pledged to reduce plastic pollution by not using single-use straws—and some businesses stopped offering them! Shelby’s campaign has inspired Girl Scouts troops, students, and environmental activists and organizations from coast to coast. The go-getters of Troop 10037 in Oregon proved that there’s no age requirement to advocate for what you believe in! They proposed legislation that their state adopt a Good Samaritan Law, which would protect anyone who breaks into a hot car to save a child or animal. Because these girls stood up and used their voices to protect the voiceless, the bill was signed into law in June 2017. During a tour of New York City’s Central Park, Troop 3484 learned there are 23 statues of men in the park but exactly none of historic women. 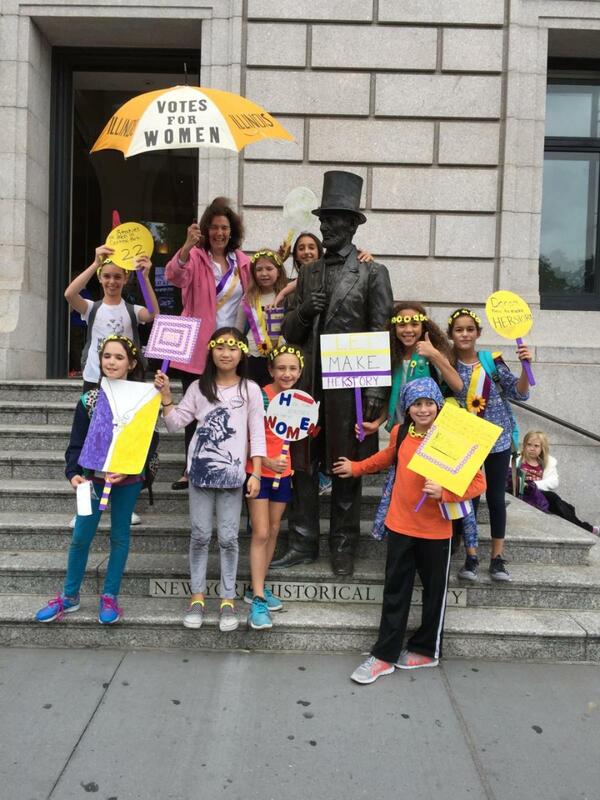 To solve the problem, these Girl Scouts are pledging $1,920 (a symbolic amount matching the year women were granted the right to vote) of their cookie earnings to help get statues of Susan B. Anthony and Elizabeth Cady Stanton built in Central Park. When Olivia, who uses a wheelchair, joined Girl Scouts Heart of the Hudson, her Daisy troop realized that the local troop house needed updates so she could join the events. 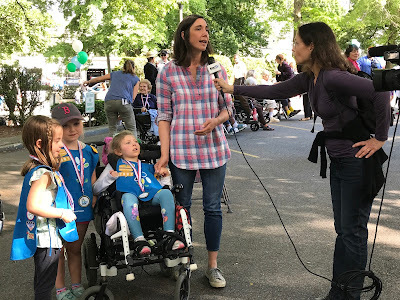 To raise money for a new ramp and other modifications, the Girl Scouts teamed up with The New Jewish Home to host “Walk and Roll”, a walk-a-thon for anyone on foot or on wheels. This intergenerational team worked to raise awareness of wheelchair accessibility and made life a little easier for Olivia and others in the community. Gold Award Girl Scout Ellie Leonard grew up hiking, camping, and loving the outdoors. When she discovered there was no official Girl Scout trail, she pledged to take the lead and have one designated near Toledo, Ohio (where the first Girl Scout council was charted in 1917). Marked with a sign and hiking medallions, the first-ever nationally recognized commemorative Girl Scout hiking trail is dedicated to Juliette Gordon Low and gives all hikers the chance to experience what innovative leadership looks like! Troops 30245 from Girl Scouts of NYPenn Pathways and 3562 from Girl Scouts of Orange County prove that when girls raise their voices for causes they believe in, the world benefits. Both troops took the Breathe Journey to heart and worked tirelessly to ban smoking in public parks and playgrounds in their hometowns so that everyone can breathe a little easier. Troop 3173 from Girl Scouts Nation's Capital got creative for World Thinking Day. Instead of focusing on a specific country to celebrate, they decided to represent refugees from different countries by watching videos, reading books, and listening to stories from parents who immigrated to the United States. The girls even collected donations of most-needed items and designed welcome cards to give to refugees who plan to resettle in their community. Not only did they grow themselves but they also helped build community through compassion, empathy, and education. 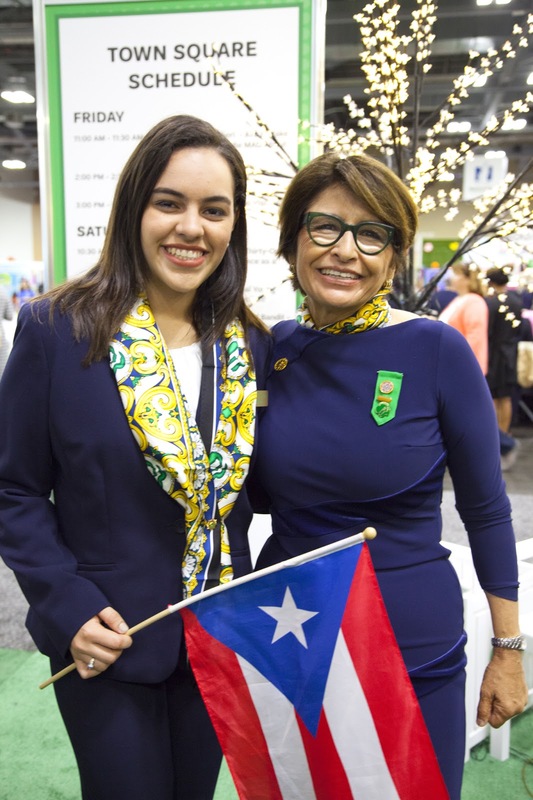 Until Vilmarie Ocasio, a Gold Award Girl Scout and a National Young Woman of Distinction, stepped up to advocate for multiple sclerosis (MS), Puerto Rico didn’t have a way to track sufferers of the disease. After her mother was diagnosed with it, Vilmarie became an educator and champion for people with MS and cancer. She fought for the approval of a bill that would create a list of people diagnosed with MS, helping shed light on how many people live with the disease and assisting in obtaining funding for research. The measure was approved, and the bill became the first law in the world requiring a registry of people with MS. The inspiration these Girl Scouts generate doesn’t end when their projects are over; their example will continue to encourage others to stand up, effect positive change, and speak up for the things they believe in. Find resources to inspire the G.I.R.L.s in your life to take civic action at www.GIRLagenda.org.